Tears of the menisci often occur as a result of twisting injuries in sport or even normal day to day activities such as getting up from a low chair or getting out of a car. Meniscal tears often occur in conjunction with anterior cruciate ligament injuries and also occur as a result of degenerative changes occurring in them in elderly individuals. Following a twisting injury patients often present with pain, swelling and a lack of confidence in the knee particularly on twisting and pivoting. They often have difficulty squatting or crouching. Occasionally they experience a sensation of clicking in the knee and in more severe cases the knees can often get locked preventing the joint from being fully straightened. A locked knee needs to be treated urgently and often requires surgical intervention in the form of an arthroscopy (key hole surgery). An accurate diagnosis can be made by your doctor or surgeon and occasionally special investigations such as an MRI scan may be required. If a meniscal tear causes persistent discomfort and results in symptoms of mechanical instability then key hole surgery (arthroscopy) may be required. Depending upon the type of the tear and the position of the tear (whether it is in the red zone or the white zone) that tear can either be repaired or resected. The aim of surgery is to retain as much of the meniscus as possible. Certain tears cannot be repaired such as radial tears, degenerative tears, flap tears and parrot beak tears. The ideal condition for surgical repair of the meniscus is a longitudinal tear occurring in the red zone not more than 1 cm long and associated with an anterior cruciate ligament disruption (where there is already blood in the joint which helps healing and repair). 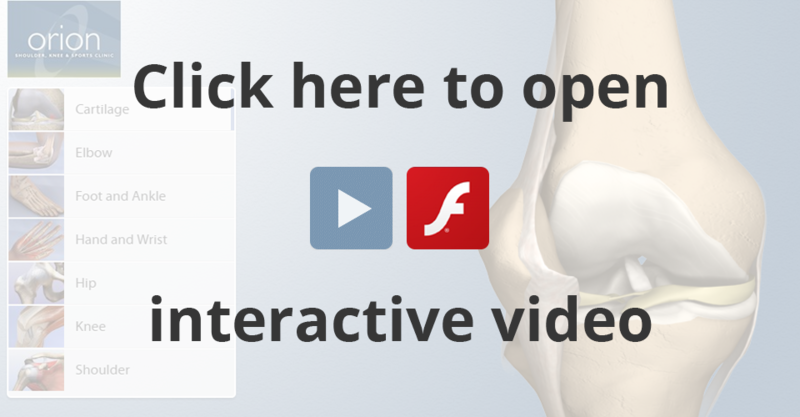 Knee arthroscopy is performed routinely as a day case operation. Recovery is swift and requires a short period of physiotherapy and rehabilitation. Patients can normally return to desk duties within 2 weeks of the operation but often require an additional week or two to return to a more demanding job.